The eight biggest manufacturers of rear underride guards have all been given the highest rating from the Insurance Institute for Highway Safety. The eight companies account for 80% of the market, according to the IIHS. They are Great Dane LLC, Hyundai Translead, Manac Inc., Stoughton Trailers LLC, Strick Trailers LLC, Utility Trailer Manufacturing Co., Vanguard National Trailer Corp. and Wabash National Corp. A spokesman for the IIHS said it did not test the manufacturers in the remaining 20%. Compare that to the strong words of achievement by the IIHS this time around. The eight companies all received the TOUGHGUARD award from the IIHS. The eight for eight was accomplished only because Strick has reached the qualifications to receive the TOUGHGUARD designation. In the first testing, Manac was the only company with that designation, but others improved their processes and standards to meet the IIHS requirements, and five of the eight companies got the designation a year ago. Numbers six and seven were Hundrai Translead and Utility Trailer, with Strick rounding out the group. "We're pleased that all the major manufacturers responded positively to our underride tests," David Zuby, IIHS chief research officer, said in a prepared statement. "By improving their guards, these companies have demonstrated a commitment to the safety of passenger vehicle occupants who share the road with their trailers." There is no federal side underride requirement, but the Rubio-Gillibrand bill would require them. In its announcement of the rear underride designations, the group said it had tested a side guard called the “AngelWing,” produced by Airflow Deflector. 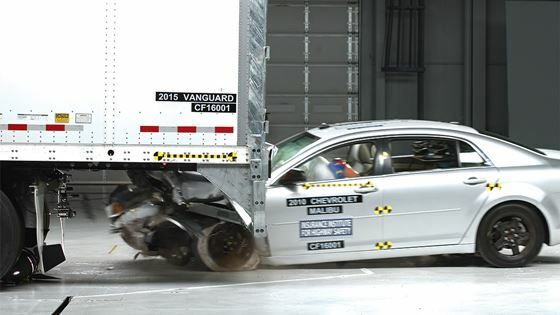 “It successfully prevented underride when a Chevrolet Malibu struck the side of a trailer at 35 mph and 40 mph in two separate tests,” the IIHS said. The group does not have legal standing, so its designation is not required by law. But given the financial stakes in litigation surrounding underride crashes—as Great Dane can tell you, successfully having fought off a lawsuit related to side underrides earlier this year—the designation could be a benefit in litigation. The company’s net income in the first quarter was $37.1 million, or $0.98 cents per diluted share, up 76.6 percent compared to net income of $21 million, or $0.51 per diluted share, in the first quarter of 2018. This exceeded analysts’ expectations of $0.88 per share for the first quarter of 2019. Knight-Swift Transportation reported adjusted earnings per share that were ahead of analysts’ expectations. FreightWaves was able to speak with David A. Jackson, Knight-Swift Transportation’s President and Chief Executive Officer. CEO Paul Svindland calls settlement “milestone” in path to stability after hit from financial scandal. Winds close to 150 mph, major storm surge about to slam parts of Africa never hit by a cyclone in modern times. World’s largest ocean freight forwarder sees volume growth thanks to Asian export markets and its niche plays in pharma and healthcare. Sluggish demand in the export trades from Asia to Europe has seen carriers blank nine sailings for the month of May 2019, taking out 115,000TEU in capacity, in an effort to bolster rates against slow growth. Port Logistics Group acquires Whiplash Merchandising, Inc. Port Logistics Group, one of the nation's leading providers of omnichannel logistics services, announced its acquisition of Whiplash Merchandising, Inc. on April 24, effective immediately. Bottom line comes in light. Investors wary to unimpressed. 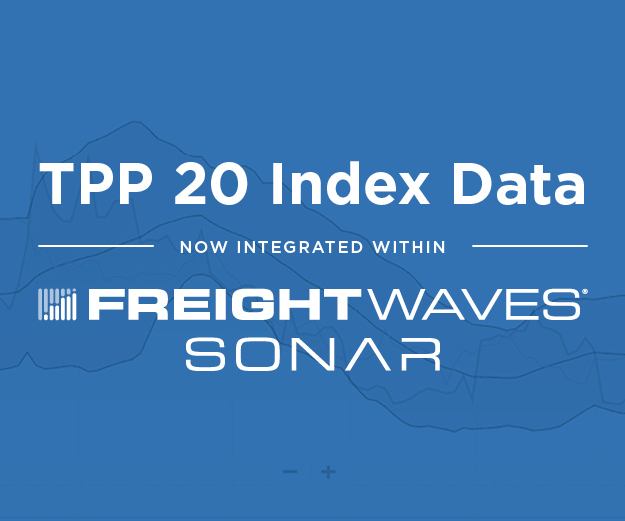 The expanded Neopanamax locks of the Panama Canal, which debuted in June 2016, have been a boon for many shipping sectors, but they were specifically designed with container shipping in mind. Lock capacity is measured in twenty-foot-equivalent units (TEU). Ford invests $500M in electric pickup maker; plus U.S. may be pulling freight from trucking, India seeks logistics technology upgrades, and scientists call for unity on electric vehicles.